Fowls of a Feather Flock together'; a group of aeronauts, c1785. 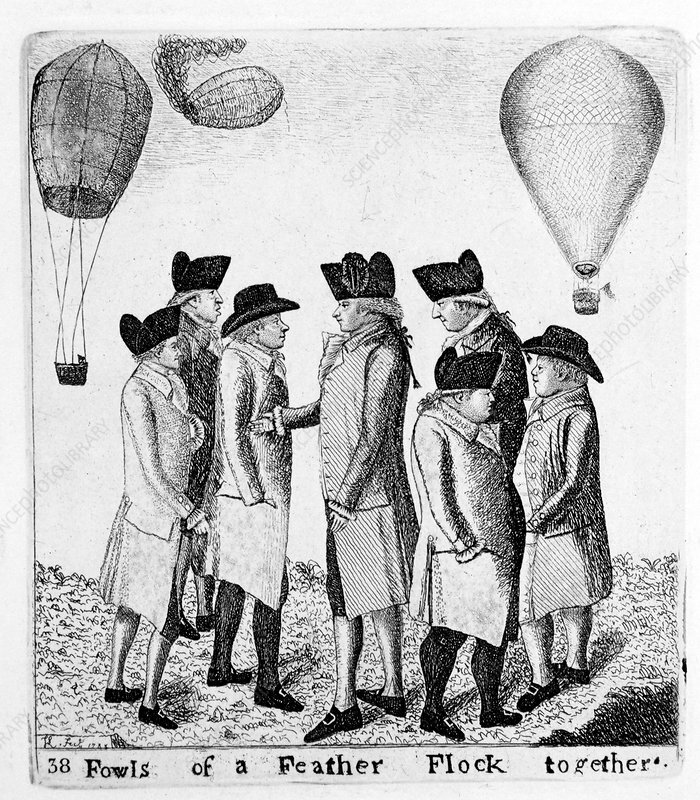 The Italian balloonist Vincenzo Lunardi (centre) in Edinburgh for his ascent of 5th October 1785, the first hydrogen balloon ascent in Scotland. Lunardi is surrounded by local ballooning enthusiasts; from left to right: John Mitchell? ; James Tytler, chemist; John Spottiswood, Magistrate; James Nielson; Myles M'Phail, caddy and tavern keeper. Three balloons are flying overhead, one of them experiencing considerable difficulties.